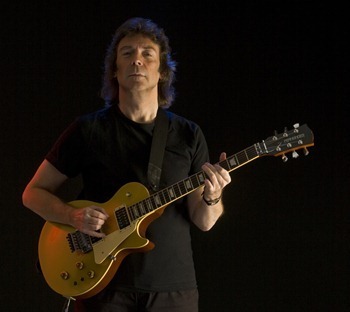 Steve Hackett is known as early day GENESIS member and the founder of GTR, a project with YES member Steve Howe. 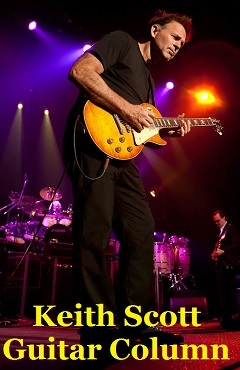 Steve Hackett also continues to deliver high quality music with his solo projects. 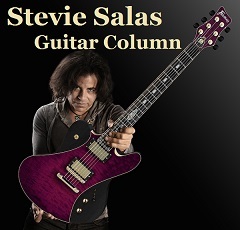 Steve has recently released his newest project “Squackett”, a collaboration with Chris Squire who currently plays for the legendary progressive band YES. Steve talks to MUSE ON MUSE about his new project. 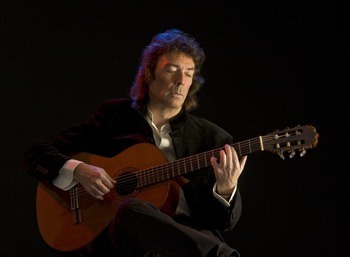 Steve Hackett made his name as the guitar player for early-era GENESIS. After parting ways with GENESIS, Steve formed GTR with Steve Howe from YES, and also continued as a solo artist, delivering numerous quality albums to the fans, proving to be a true guitar hero. 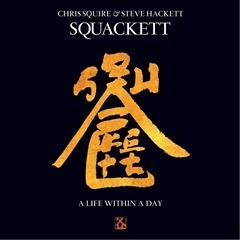 In his new project, SQUACKETT, Steve Hackett and YES member Chris Squire have successfully created an album displaying the essences of progressive rock. The album is not only a pleaser for the prog fans, but accessible to mainstream rock listeners with its beautiful and melodic style of music. After releasing “Squackett”, Steve Hackett has already begun production for his upcoming project. Nevertheless, the busy man found time to talk to us about the “Squackett” album. Muse On Muse : Can you tell us how you ended up recording this album “SQUACKETT” with Chris Squire from YES? 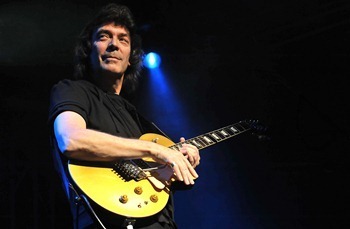 Steve Hackett : I initially played some guitar on one of his albums, he played some bass for me and we then decided we would like to do an album together. We realized that we worked well together. Chris’bass complimented my guitar and his voice went well with mine. It was interesting to work on each other’s songs and we enjoyed composing others from scratch together as well. MM : What is the concept for this new album? SH : There is no overall concept. It was an organic process, which we enjoyed. MM : Who else besides you and Chris participated in the recording of this new album? SH : Roger King is on keyboards and he also engineered and produced the album. Jeremy Stacey plays drums and Amanda Lehmann provides additional vocals. MM : How long did it take you to record the album? SH : About three years, but with spaces in between as Chris was often out of the UK. MM : How did you record the album? SH : We recorded the album partly in my living room with Logic on Roger King’s computer and also in Jeremy Stacey’s studio for the drums. I was not recording at the time in my studio because of a legal dispute which is now over. It was interesting to work at home and produced a relaxed atmosphere that encouraged creative ideas. MM : There are 9 tracks that ended up on the album. How many songs were actually recorded for this album? SH : These were the songs that were recorded for the album. MM : What is the meaning behind the cover artwork? SH : It’s a logo in oriental style by Zu Bing. MM : I expected the album to be a pleaser for the progressive rock fans, having a former GENESIS member and a current YES member making an album together. Although, the result was more of an album containing very melodic essences that can be appreciated by mainstream music fans, as well as the fans from the progressive rock genre. Did you have some kind of a balance thought out in the making of this album? SH : We wanted to make an album that was both experimental and accessible. It was an organic process though. We followed our inspiration and each song came out differently, so it is a fairly eclectic album. 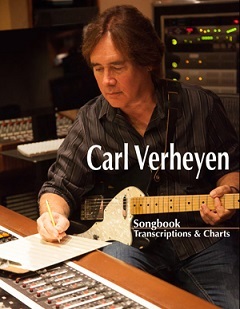 It was interesting to connect some elements, such as the way “Can’t Stop The Rain” links to “Perfect Love Song”. 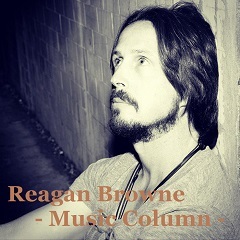 There is a sense of the trials of life running through, but ultimately it is a positive and optimistic album. MM : What do you find most important when writing songs? SH : I follow my inspiration and I don’t stop until I feel that it is fully realized. MM : How do you construct the guitar parts after you come up with a particular song or tune? SH : It’s always an instinctive approach, difficult to describe but I just know what feels right, whether it’s electric, nylon or twelve string guitar. MM : You have a wide variety of guitar sounds, everything from beautiful to unique sounds to decorate your songs. Do you still do a lot of experimenting in regards to playing techniques and equipment? SH : I’m always looking for new sounds. I also spend a lot of time with classical guitar, particularly in different tunings to avoid the familiar. I find that classical and rock can influence each other. MM : Please tell us about each song on the album. The idea that nature and the universe is so vast. This is perhaps the most experimental song on the album. Chris’bass underpins this song, which takes the spirit on a journey across the ocean. This is done in a 1960s style, and gives a sense of schizophrenia. A song written by Chris with a sci-fi theme. I enjoyed weaving my guitar around it. It’s a love song with a sense of moving out of darkness into light. A dark verse moves into an optimistic chorus. Another journeying song I wrote, this time seeking lost treasures from the past. For those who have a passion for extreme conditions! A song to lost love. MM : Please tell us about your gear. What guitars, amps, effectors, foot pedals did you use for this recording? MM : What kind of guitar picks did you use? What kind of guitar strings did you use? SH : I use my own nails. The strings for electric are Fender 008, Ernie Ball twelve string set and light guage Pro Arte D’Addario strings for acoustic. MM : It’s amazing to listen to the musical quality you are able to deliver with your guitar. How much practicing do you regularly do? SH : I practice most mornings, often on my acoustic guitar which informs a lot of what I do on the electric. I’m a perfectionist and I will go over some things several times to get the best sound out of the guitar. MM : It’s obviously essential to play your instrument for a long time to develop physical technique. On the other hand, what do you find essential when it comes to building up your ideas and imaginations for song writing? Please tell us your perspective. SH : Experience of life, influence of books, films, conversations with people and musical inspiration. MM : Are there any young and upcoming musicians and/or guitar players that attract your attention? SH : I admire Joe Bonamassa. 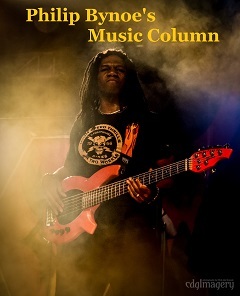 I think he is a fabulous guitar player with a strong dynamic sound that can also be very atmospheric. He is a really nice person as well, which I always feel counts for a lot. MM : What kind of music do you usually listen to, besides your own music? SH : I listen to orchestral work and bands of quality from over the years. MM : Do you have plans to do any shows for the SQUACKETT project? Please also tell us what you have planned for the near future. SH : There are no current plans for Squackett shows. I’m working on a Genesis Revisited II project which I plan to tour next year, and I hope to bring that tour to Japan. MM : Please give a message to your Japanese fans. SH : I hope you all enjoy the album and I also hope to see you all next year. I always enjoy visiting Japan, with its extraordinary sense of style and wonderful people. Many thanks.